“A champion needs a motivation above and beyond winning.” With the blessings of Swamiji, we have taken a step forward. Our students won the medal in the sports events. This is obviously a land mark of our school. 30th South National Junior Athletics championships 2018 was held at Acharya Nagarjuna University at Gundoor in Andhra Pradesh on 15th & 16th September 2018. Two of our students got medals. R. Mahendran (XI Std) got gold medal in Javelin throw. His performance was 49.44 mts. 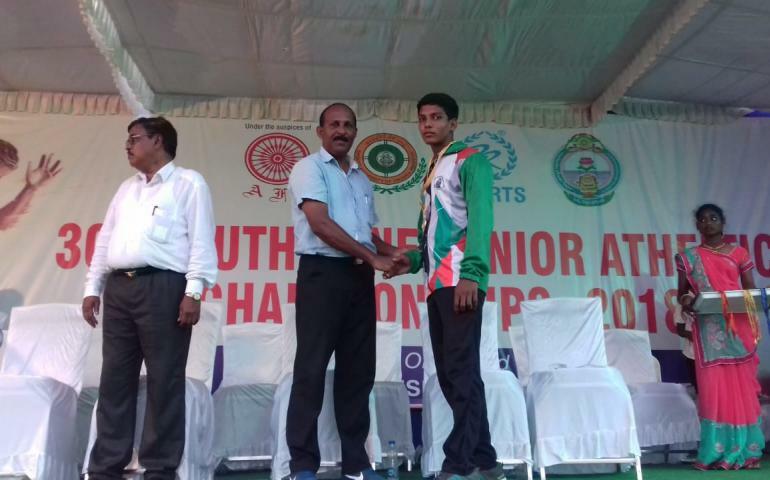 P. Selva Ganesh (XI Std) got silver medal in Discus throw. His performance was 43.27 mts. Winners were appreciated and honoured by our school correspondent Shri. S.K Subramanian, Principal Mrs. R. Andal, PET Masters, teachers and parents.